Indent Lanyards are now a hot fashion and business accessory and Fresh Promotions offers an extensive range. 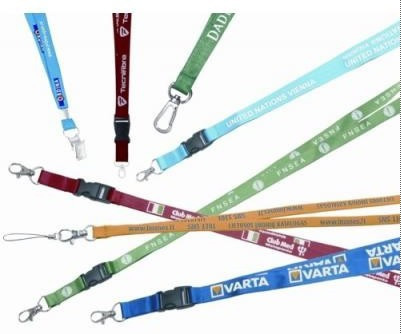 There are multiple options for personalising your cloth indent lanyards. Use our customised indent lanyards as a promotional tool at your conference or event. [Imprint size] 36" x 3/8"